Good morning, and welcome to today’s hearing. I thank our panel of witnesses and our members for being here today as we talk about freedom of expression on college campuses and how postsecondary institutions are and are not respecting individuals’ First Amendment rights. Here at the Education and Workforce Committee, we talk a lot about the importance of all education. Education has the power to change lives, and every form of instruction that focuses on developing a student’s skills is valuable, whether that skill is physical or intellectual. We’ve focused on the skills gap, and the skills gap is a major reason we have more than six million open jobs in this country. But there’s one skill that I believe is one of the most sought-after skills in the workplace and in the classroom, and that skill is critical thinking. All of education, but especially postsecondary institutions, have a duty to develop students’ problem-solving skills. By encouraging students to engage in civil discourse and challenge their own perceptions, they sharpen their analytical skills so that they are prepared to lead the workforce once they graduate. But many institutions are taking deliberate steps to curb speech, and are thus extinguishing students’ critical thinking at a vital stage in their professional — yes, professional — development. University campuses should function as a marketplace of ideas for students to exchange knowledge and share their varied and distinctive viewpoints. When freedom of thought, expression, and association are stifled on campus, the basic rights of students and staff are irreparably undermined. This is not a partisan issue. In a Gallup-Knight survey of students published earlier this year, every single demographic favored an open learning environment that permits what may be deemed as offensive speech by some over a campus environment that puts limits on speech deemed offensive. Furthermore, the majority of respondents reported they feel that speech is being stifled on campus. So why are some institutions placing limits on freedom of expression? There has been no shortage of news stories about some speakers being turned away from college campuses, informal censorship occurring in classrooms, and the meteoric rise of the heckler’s veto. As a result, postsecondary institutions are functioning more and more like ideological echo chambers devoid of diverse thought. We have seen the creation of so-called safe spaces at some campuses where students can feel “safe” from speech that upsets them. Conversely, we have seen the development of free speech zones and other schemes designed to limit free expression and shield students from ideas and concepts they may find uncomfortable or challenging. The Bill of Rights affirms certain unalienable rights, chief among them the freedom of speech. The First Amendment sets the United States apart from other nations, and our incredible individual liberties are the envy of people across the world. The freedom of thought and expression are the cornerstone of our democracy, and it is crucial that we safeguard this power and privilege. In the Gallup-Knight poll I referenced, the majority of college students (64 percent) still view their First Amendment rights as secure. However, that number has fallen by almost 10 points from 73 percent in the previous year’s survey. As the postsecondary landscape continues to evolve, it’s important that we take a close and hard look at how students’ rights and freedoms are upheld on campus and at the role of the First Amendment in postsecondary education. Good morning, and welcome to today’s subcommittee hearing. I would like to thank members of the subcommittee and our witnesses for joining us today as we examine ways in which we can continue to strengthen our national workforce development efforts and help more Americans get the skills they need to land in-demand jobs. In the last several years, we have seen an economic boom take place under Republican leadership in Congress and the White House. The job market is strong and unemployment is at near-historic lows. In fact, employers need more people to work for them. In May of this year, the Bureau of Labor and Statistics (BLS) issued a report that for the first time in BLS’ history, the number of job openings in the United States exceeded the number of job seekers nationwide. I have seen this firsthand in Kentucky’s Second District. This August, I visited construction sites, factories, shipping facilities, and more businesses throughout my congressional district, and the one thing I heard from all of them is how they need more skilled workers. These are good jobs that some people unfortunately are missing out on because they don’t have the necessary skills. In a 2018 survey from the ManpowerGroup, 46 percent of employers in the United States reported that they struggle to hire employees with the necessary skills for the job, and for the 6th year in a row, skilled trade jobs are the hardest positions to fill across the globe. The American workforce is presently facing a shortage of over six million skilled workers, and we need approaches at both the public and private levels to successfully bridge this skills gap. When I grew up, my dad and many of the people in our town worked for the local Ford factory. Back then, if you got a job with Ford, you entered a pipeline that taught you necessary skills as you moved up the ladder. Sadly, many factories that provided that kind of job security have shut down – including the one in my hometown. We must find other ways to bridge the skills gap. In 2014, after years of hard work from the Education and Workforce Committee, the Workforce Innovation and Opportunity Act (WIOA) was signed into law. WIOA made significant progress rebuilding our national workforce development system by promoting employer-led innovation in and access to work-based learning experiences like on-the-job education and apprenticeship programs. By strengthening on-the-job technical education and apprenticeship programs, we can streamline the connection between education and the workforce and encourage more Americans to pursue in-demand jobs, improving their own earning potential and the national workforce as a whole. I want to continue this progress we made in WIOA with a renewed focus on apprenticeships. That’s why I worked with my colleague, Ranking Member Susan Davis, to establish the Apprenticeship Caucus. We held our first event earlier this summer, where we brought a wide range of representatives together to talk about how Congress can support these programs. We also introduced the APPRENTICE Act, which would establish a grant program to expand apprenticeship programs. I look forward to continuing the conversation about apprenticeships at today’s hearing. I am pleased to welcome today’s witnesses and I look forward to hearing their testimony as we discuss innovative ways we can develop our workforce and help more Americans learn valuable skills on the job. 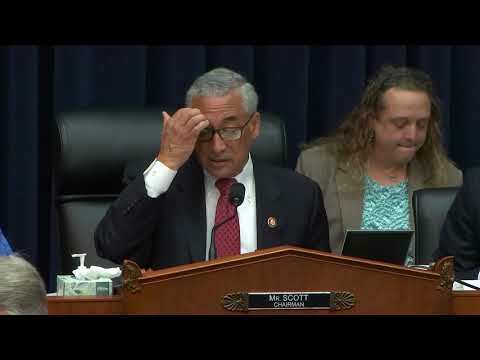 Good morning, and welcome to today’s subcommittee hearing. I would like to thank members of the subcommittee and our witnesses for joining us today as we discuss H.R. 4219, the Workflex in the 21st Century Act. The American workplace continues to evolve in many positive ways, reflecting changes in employer and employee needs, attitudes, and preferences. Traditionally, competitive salaries and pay raises have been the primary ways for employers to attract and retain quality employees. While these recruiting tools are still important, more and more Americans have begun demanding flexible paid leave policies (including telework and other work arrangements). In fact, a 2015 survey conducted by Harris Poll found that nearly four in five employees preferred new or additional benefits or other perks over a pay raise. The vast majority of full-time private sector employees have access to paid vacation leave and paid sick leave (90 percent and 82 percent, respectively). Even so, many states and local governments are mandating their own paid leave requirements. To date, 10 states and the District of Columbia have a paid sick leave law on the books, as well as more than 30 localities. This has unsurprisingly resulted in a confusing patchwork of paid leave mandates that has led to increased compliance, administrative, and litigation costs. Small businesses are especially vulnerable as they struggle beneath the burden of understanding and implementing these requirements, and employers that operate across state lines and multiple jurisdictions must now work to satisfy widely varying requirements that differ from state to state. 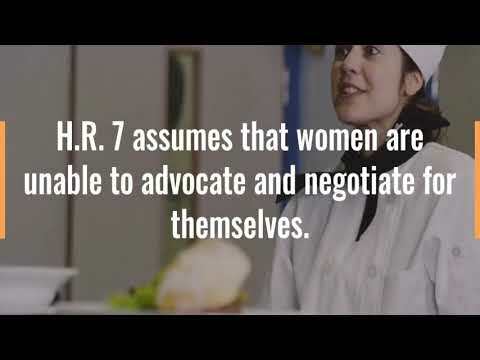 In answer to both the changes in the workplace and workforce and the growing patchwork of paid leave mandates, Congresswoman Mimi Walters from California introduced H.R. 4219, the Workflex in the 21st Century Act, this past November. This legislation would encourage and allow companies and employers to voluntarily offer their employees a benefits plan that provides a generous paid leave policy as well as a flexible work arrangement option. In fact, the plans allowed by the bill would provide more paid leave to employees than all state paid leave laws and most local laws. This legislation would accomplish a number of things: first, it would provide employers with a clear-cut solution to the growing confusion around state and local paid leave laws, while providing employees with a worker-friendly benefits package. Second, and maybe most notably, it would do so without resorting to the use of an overly burdensome and inflexible federal mandate. And third, if an employer chose to offer his or her employees a qualifying paid leave plan, then that employer and those employees would enjoy uniform and robust plans no matter where the employer is located, without the threat of state and local regulation. The Workflex in the 21st Century Act is a win-win for businesses and their employees, and provides Americans with the flexibility they desire when it comes to striking the right work-life balance. I am pleased to welcome our distinguished witnesses with us here today as we discuss this important and timely legislation, and I look forward to hearing from them as we explore the topic of paid leave in the 21st century workplace. H.R. 4219, "Workflex in the 21st Century Act"
Good morning, and welcome to today’s subcommittee hearing. I would like to thank members of the subcommittee and our witnesses for joining us today to examine the USDA’s Summer Food Service Program and discuss how we can responsibly ensure that the most disadvantaged children have access to nutritious meals during the summer months. Last Congress, we considered legislation to reform this program by reinvesting funds from other child nutrition programs that were in many cases benefiting middle-class families earning multiples above the poverty line to the Summer Food Service Program. I hope this hearing will bring valuable insight that will help us continue our work. In America today, nearly 1 in 4 children live in households below the poverty line. Of these kids, over one million are classified as food insecure, meaning their parents cannot or do not provide consistent access to enough nutritious food for the child to be healthy. As a result, during the school year, many kids over-rely on the National School Lunch Program (NSLP) for their nutritional needs. But during the summer months, the routine of the school day is gone and they are vulnerable to hunger. That is where the Summer Food Service Program comes into play. The summer program provides meals to children from qualified households during the summer months. In 2017, the program served over 152 million meals to over 2 million children. Like many government-created programs, it has its challenges. Our proposed reforms last Congress included increasing flexibility for states and providers, ensuring that taxpayer dollars truly benefit the most vulnerable of children, and examining new ways to encourage business participation to help drive down cost. The Committee also asked the Government Accountability Office (GAO) to examine participation trends and identify weaknesses within the program. Today, we will hear what the GAO found, and also hear from the Inspector General on a report they conducted. They will highlight important findings regarding problems facing the USDA and the organizations that participate in the program. These reports present an opportunity to examine the program as a whole and identify changes. I believe that our focus should be on helping those who truly need this program and in a temporary manner, and not handing out free meals to those whose families who otherwise have or should have the resources to do so. Finally, I know that this program is very important to a number of members on this Committee. As the Committee continues its work on improving the Summer Food Service Program, we should do so with one thing in mind, how to care for the kids who need this program the most by focusing on investing our limited resources into the program effectively. While doing so, it is incumbent upon this Committee to identify other places where our resources are not as well spent, and use those resources to fund some of the top priorities for Members, like the Summer Food Service Program. Today’s witnesses are well-suited to provide us with their invaluable insight into the summer program, and I look forward to hearing from them as well as from other members of the subcommittee as we dive deeper into the Summer Food Service Program. “Examining the Summer Food Service Program"
Good morning, and welcome to today’s subcommittee hearing. I would like to thank members of the subcommittee and our witnesses for being here today as we examine important and timely topics – current trends in the U.S. labor market, their benefits for American workers, and a review of the Bureau of Labor Statistics’ (BLS) labor market economic information and methodologies. On the first of June, BLS released its May 2018 Employment Situation Report, which detailed the most recent data on U.S. employment. The report found numerous encouraging developments in the American economy and workforce, including improvements to rates of unemployment, job growth, and wage growth. According to the report, unemployment is down to 3.8 percent — the lowest rate of unemployment in nearly two decades. Since May 2017, the total number of unemployed workers has dropped by 772,000 to 6.1 million people, and there has been a 28.6 percent drop in individuals experiencing long-term unemployment. As unemployment has fallen, the number of new jobs available across the country has risen. Since February 2017, the month after President Trump was sworn into office, the U.S. economy has added nearly 3 million jobs nationwide. In particular, health care, construction, manufacturing, retail trade, and mining having all experienced particularly robust job growth. This job upsurge has contributed to one of the most astounding developments yet: for the very first time in BLS reporting history, the number of job seekers – 6.3 million Americans – has been eclipsed by the number of available jobs – 6.7 million job openings nationwide. We know that in addition to a strong job market, wage growth can help families achieve financial independence and security. According to the report, the workforce has experienced a rise in wages, with average hourly earnings increasing by 71 cents over the last 12-month period. Much of this growth can be attributed to tax reform, as well as efforts by Congress and President Trump to rein in regulatory burdens. The Tax Cuts and Jobs Act, which House Republicans delivered last year and President Trump signed into law in December 2017, has lowered taxes for millions of Americans. Ninety percent of workers are seeing more of their take-home pay thanks to tax reform, and the law has helped to spur powerful economic growth across the country. Strengthening the workforce and adding more jobs to the U.S. economy have been top priorities for House Republicans and the Trump administration, and tax reform has delivered bigger paychecks and greater opportunities to more Americans. Today’s hearing presents an opportunity to delve into BLS’s most recent information on the U.S. labor market, its recently published data on workers engaging in contingent and alternative forms of work, and to gain a better a understanding of BLS products and data to ensure we, as policymakers, and the public at-large can best utilize this information. I look forward to hearing from our panel of witnesses and from other members of the subcommittee today as we talk about these developments and ways to promote even greater growth for more American employers and workers. Good morning, and welcome to today’s subcommittee hearing on occupational licensing. I would like to thank members of the subcommittee and our witnesses for being here today as we discuss licensing and ways that we can encourage states to lift barriers to economic mobility and growth. Occupational licensing plays an important role in protecting consumers and ensuring high-quality service. In many cases, it makes sense that a professional would be credentialed to operate, like in the case of a doctor performing surgery or a pilot flying a commercial plane. But in other instances, the need for a license is more of a stretch. For instance, if you aspire to be a barber or an interior decorator, there seems to be less of an urgent need for the government to play a role in regulating your career, and yet some government entities have disagreed. The number of jobs requiring a license has grown dramatically over the last several decades. In the 1950s, only 5 percent of workers were licensed. Since then, an economic shift to the service industry and concerns for consumer protection have led to a steady increase in professions requiring a license to operate. As a result, licensed workers today comprise about quarter of the entire workforce – a five-fold increase. Because states are responsible for imposing most licensing requirements, the burden of obtaining a license varies widely from state to state. For example, it requires 233 days in New York to obtain a cosmetology license, while it requires 490 days in Iowa. These kinds of delays and inconsistencies have resulted in a confusing and anticompetitive patchwork of regulations, which present a challenge to credentialed workers considering a move across state lines. Studies show that worker mobility is critical for economic stimulation and wage growth, yet licensed workers are less likely to pursue an opportunity in a different state than their unlicensed counterparts. After factoring in the need to complete new education, undergo state-sanctioned testing, and pay new licensing fees despite their presently-held credentials, many licensed workers ultimately forgo opportunities in different states because the entire regulatory process is just too complicated. What is more, lower-income workers and consumers bear a disproportionate share of this regulatory burden. Because occupational licenses cost a substantial amount of money up front, many cash-strapped workers may be prevented from entering a field, contributing to the estimated 2.85 million fewer jobs due to these requirements. Licensing can also lead to higher prices for consumers. It’s believed that $203 billion in licensing costs are passed on to consumers each year, which especially impacts lower-income individuals. When House Republicans delivered on tax reform late last year, it was to give American workers and families more jobs, bigger paychecks, fairer taxes, and greater opportunities. So far, 90 percent of Americans have seen more take-home pay and the U.S. economy is experiencing strong gains as a direct result of tax reform. But some overly burdensome licensing requirements are putting a drag on these outcomes and slowing forward economic momentum. States should work to strike the right balance of placing licensing safeguards where they are needed, and removing barriers and restrictions wherever appropriate. This has been a bipartisan issue in the past, with the Obama administration issuing best practices to states to minimize the burden of these regulations back in 2015. Hopefully we can continue this bipartisan cooperation to ease the regulatory burden for more working Americans. I look forward to hearing from our panel of witnesses and from other members of the subcommittee today as we discuss ways to reform our occupational licensing systems to spur economic mobility and growth. All students, regardless of zip code, deserve access to a high-quality education. That means giving students the opportunity to thrive in the learning environment that best suits their unique educational needs. Every student is different, and families should be empowered to choose whatever school best suits their child’s strengths, rather than being forced into a one-size-fits-all approach. For many, charter schools are the best option for their student to hone his or her individual abilities and build a successful life. Though they are still relatively new on the scene, with the first having opened just over 25 years ago, charter schools have proven an immensely popular option. These institutions currently serve over three million students nationwide, while surveys show another five million students would enroll in a charter school if given the chance. In an effort to meet this growing demand, the Every Student Succeeds Act (ESSA) maintained and improved the important charter school program. The new law included reforms not only to support the development of high-quality new schools, but also to allow for the expansion and replication of high-quality charter schools already found around the country. These reforms included requirements to help these schools improve recruitment and retention of students, as well as to support better authorizing practices, and reforms to help charter schools access facilities financing. Charter schools also face rigorous accountability. These schools not only have to comply with the same accountability requirements as all other public schools, including the accountability requirements under ESSA, but they also face a rigorous approval process just to open their doors, and have to meet the expectations of the parents sending their children to the school. Too often, students in underserved areas suffer from a lack of access to educational opportunities, and by default remain trapped in the failing status quo. When there is a community need for high-quality primary and secondary education, and the traditional public schools in the area are struggling to produce strong student outcomes, charter schools can offer students a lifeline. In fact, charter schools can be the difference between a student dropping out of high school, and going on to pursue postsecondary education. Data reported by The 74 Million shows that charter school students from high-performing charter school networks graduate from college at three to five times the national average for children from low-income families. I have had the immense privilege of hearing from countless charter school students and their parents, and they consistently tell me the same thing: that their local charter school provided them with new hope and opportunity when the traditional public schools in their area failed to pass muster. Over the weekend, I saw that positive impact firsthand. I had the honor of speaking at the commencement ceremony for Millennium Charter Academy in my district – a school I’ve seen grow from the ground up into a thriving, exciting, and inspiring place. It is because of schools like Millennium Charter that more students in my district have a shot at building a prosperous life. Today’s hearing presents an opportunity to examine the myriad ways that charter schools are changing lives. It also presents an opportunity to recommit to what matters most – giving more students the opportunity to receive an excellent education that inspires a lifelong love of learning. Good morning, and welcome to today’s hearing. We’re pleased to welcome the Honorable Alex Azar, Secretary of the United States Department of Health and Human Services, to his first hearing with the Committee on Education and the Workforce. I’m especially pleased to note that this hearing comes just after Secretary Azar has celebrated his three month anniversary in his new position. Mr. Secretary, we can’t find another cabinet secretary in recent memory that has made an oversight hearing with this committee such an early priority. Thank you. This Committee’s dedication to oversight and building working relationships with the various administrative departments are well-known and well documented. So far in this Congress, we’ve been pleased to hear from Secretary Acosta and Secretary DeVos about their priorities for the management of those departments. The members of this Committee are responsible for a wide legislative jurisdiction that means that the work we do can impact Americans in all stages and walks of life. In many cases, the Department of Health and Human Services is tasked with carrying out some of the laws that have their origins right here in this room, and that is why it’s important we hear from Secretary Azar. Programs such as Head Start, the Child Care Development Block Grant, and Preschool Development Grants, laws like the Child Abuse Prevention and Treatment Act and the Older Americans Act, and many antipoverty initiatives require a productive and accountable relationship between this Committee and the Department of Health and Human Services. In recent years, that relationship has become even more crucial as millions of Americans have suffered under the mounting failures of Obamacare. Dwindling coverage options and soaring health care costs have left American employers and the families that rely on them with few choices and hard decisions. It’s estimated that Obamacare’s costs and mandates have resulted in roughly $19 billion in lost wages for small business employees. That’s why this committee made H.R. 1101, the Small Business Health Fairness Act, one of our first orders of business in this Congress. This bill, offered by our own Health, Employment, Labor, and Pensions subcommittee chair Tim Walberg and Rep. Sam Johnson of Texas, allows small businesses greater freedom in banding together to offer association health plans. In October, President Trump issued an executive order directing the Departments of Labor, Health and Human Services, and the Treasury to use their regulatory authority to expand access to affordable health care options. Those options include association health plans, short-term limited duration plans, and health reimbursement arrangements. As the Small Business Health Fairness Act continues to await long-overdue action by the Senate, we hope Secretary Azar can provide some update today on the status of his Department’s efforts to reverse the damage of Obamacare and improve access to healthcare for millions of working families. 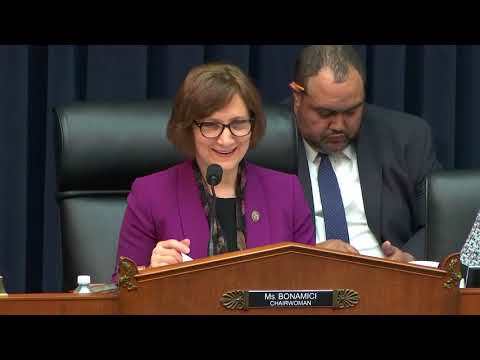 Just before and again shortly after Secretary Azar assumed leadership of the Department, this Committee held hearings about how the opioid epidemic is affecting communities and workplaces. To date, more than 11 million Americans have been impacted by the opioid epidemic, which has justifiably been classified as a public health emergency. While we know we didn’t arrive at this problem overnight and we can’t solve it all overnight, members of this Committee have worked together to find bipartisan legislative solutions that we all hope can bring some stability, health, and healing to our communities. Secretary Azar, we know you are on the front lines of this fight, and we hope you have some positive developments to share with us. I want to say at the outset that I’ve heard from some members, especially our Ranking Member, Mr. Scott, that some congressional inquiries to your office have gone unanswered. I hope if you see any of those members who have written to you here today, you can acknowledge those inquiries and provide some forecast as to when members can expect a response. We all know what a high volume of mail looks like. Responding to constituent letters has kept me here many, many late nights over the years, but it’s one of the most important parts of this job. I’m sure you would agree the same is true for you. Secretary Azar, it’s a pleasure to welcome you to the Education and Workforce Committee. Thank you, again, for making this hearing a priority. I understand that after this hearing was scheduled, President Trump let you know that he had plans for you today as well. Every Member of Congress knows how it feels to have to be in two, sometimes three places at once, so we’re going to try to make the most of our time together. I’ll now yield to Ranking Member Scott for his opening remarks. Despite the significant improvements to the economy thanks to regulatory reform and Republican-led tax reform efforts, more work is needed to build on this success. We still have 6.3 million Americans out of work, and we cannot afford to stop looking for ways to improve economic conditions and support American workers. Burdensome federal regulations on businesses of all sizes are one major obstacle that hurt the efforts and slow the ability of businesses to grow and hire talented employees. Small business owners alone are spending at least $12,000 every year complying with regulations. Additionally, in 2013, businesses both large and small devoted $94.8 billion to hiring full-time personnel to achieve regulatory compliance. The costs associated with regulatory compliance are creating a major barrier to a business’ ability to not only hire more workers, but is hampering its ability to grow the business as a whole. To make matters worse, despite the pleas from businesses owners around the country, the Obama administration continued to issue new, complicated, and onerous regulations that slowed economic progress during a time when the economy was focused on recovering from the 2008 financial crisis. Republicans actually listened to the needs of businesses large and small, and that is why Congressional Republicans and the Trump administration have made regulatory reform a priority. During this Congress alone, House Republicans have led the charge in delivering regulatory relief by advancing 15 resolutions of disapproval under the Congressional Review Act (CRA) to eliminate some of the most costly, redundant, and unnecessary regulations. I’m proud to say that five of the 15 CRA resolutions that were signed into law by President Trump came from the Committee on Education and the Workforce. Since the passage of the initial 15 CRA resolutions, we have already started to see a reversal in the truly negative effects of Obama-era regulations. According to the American Action Forum—which our witness Dr. Douglas Holtz-Eakin is president of — overturning these 15 regulations achieved approximately $4 billion in total cost savings to businesses. 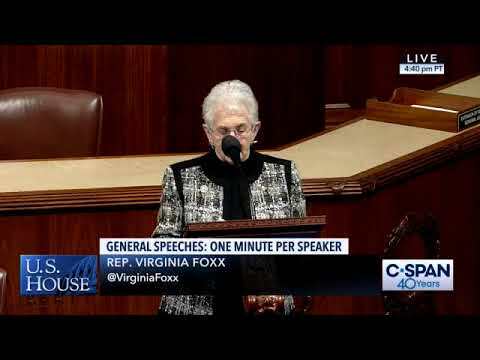 Additionally, the Committee on Education and the Workforce has held twenty-two oversight hearings on federal rules and regulations, and I am proud to say eight of those hearings were conducted by this subcommittee. This record is proof members of this committee, as well as the staff, remain committed to taking a hard look at regulations and how they impact employees and employers. After eight years of lost opportunity under the Obama administration, this Committee and the Congress are now able to work constructively with the Trump administration to improve the regulatory environment. For example, early in his administration, the President issued executive orders to reduce the number of regulations and control regulatory costs. Employers are taking notice of Congress and the Administration’s actions to remove regulatory burdens. A survey conducted by Littler Mendelson stated that “a little over a year into the new administration, employers are cautiously anticipating less impact from key regulatory issues on their workplaces over the next 12 months.” As the Trump Administration continues to reform the regulatory process, employers anticipate additional economic growth. Not all regulations are bad, but today’s hearing will explore the benefits of responsible regulatory reform, how regulatory costs can be controlled to allow for the continued growth of the nation’s economy, and the importance of Congress and the administration continuing to collaborate on a regulatory reform agenda. Our panel of witnesses today are well-suited to discuss this subject, and I look forward to hearing their thoughts, as well as their ideas about where this committee should look for future reform efforts. As members are aware, this hearing was originally scheduled for December of last year, but had to be postponed due to changes in the House schedule. I want to thank Secretary DeVos for her flexibility and for working with the committee to make today’s hearing possible. Given that Secretary DeVos’s primary responsibility is to faithfully carry out the laws enacted by Congress, having this dialogue about the Department’s priorities and activities is critical. While the Constitution is clear about our roles, it’s less clear about what we must do in terms of policy. As I have reminded members of this committee on more than one occasion, there are 4,543 words in the Constitution. Not one of them is the word “education,” or a synonym for it. Our country was founded on the principles of life, liberty, and the pursuit of happiness. It has been my experience that education, in whatever form it may take, is the key to all of those pursuits. I believe on that point, we can all agree. I also believe most of the members of this committee would agree that our constituents have strong feelings about the role of the federal government in education policy. They often tell us: the less from Washington, the better. Local control isn’t just a matter of philosophy, it’s a matter of practicality. We’ve seen that firsthand through the work we have done on workforce development. Two examples that come to mind are the Workforce Innovation and Opportunity Act and the Strengthening Career and Technical Education for the 21st Century Act. These pieces of legislation reflect the simple fact that local control and input make all the difference in ensuring that educational pursuits yield real results for Americans who just want to live successful lives. This committee took a similar approach to K-12 education with the Every Students Succeeds Act. We firmly believe that states and school districts have an obligation to provide all students an excellent education and hold schools accountable for the performance of all students. But effective accountability must have buy-in from parents, teachers, and other state and local leaders. I applaud states and school districts for stepping up to this challenge under ESSA and the Department for enforcing the law as written. Secretary DeVos has made it clear that she is also a believer in local solutions for education challenges. It’s parents and the local school leaders they know and trust who are best equipped to make the decisions that will help improve education for all students. Most of the time, it should be our job at the federal level to stay out of their way. Sometimes there’s a need for legislation. Other times, it’s up to the Department to take a step back and let state and local officials respond to the needs of their communities. For example, under the Bush administration, the Department issued seven economically significant rules. Rules carry this designation when they would have an annual impact on the economy of $100 million or more or would have any material adverse effect on "the economy, productivity, competition, jobs, the environment, public health or safety, or State, local or tribal governments or communities." President Obama’s administration issued as many such rules in a single year, and 27 in the Department alone over the length of the administration. That was a nearly 300 percent increase in the regulatory burden on education alone. That’s why it’s crucial that we, the committee of jurisdiction, have a strong and productive relationship with the Secretary of Education. I expect today’s hearing to be an important chapter in that relationship. Madam Secretary, it’s been a pleasure getting to know you over the course of your time at the Department. I know what drives you to show up to work every day is the same thing that drives each one of us – ensuring all students have access to an excellent education. I applaud your willingness to take on this work in the face of the unprecedented vitriol you face. We look forward to hearing about what you’ve done so far to restore the Department’s authority to its rightful place, and the creative ways you’ve found to help open doors for Americans looking for more opportunities in education. Again, it’s a pleasure to welcome you here today. I thank you for being here, and I now yield to Ranking Member Scott for his opening remarks.